In the past, osteoporosis could only be tested after you broke a bone. By that time, bones could be quite weak. A bone density test makes it possible to detect your risk of breaking bones before the fact. If you have had any barium or nuclear medicine studies done, you must wait seven days before having a bone density test. 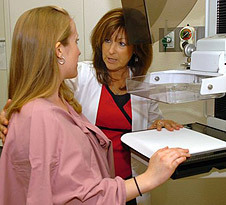 A physician referral is required for bone density testing.